Ultraflexible multipair cables for AES/EBU digital audio data. Highly stabilized 110 Ohm impedance guaranteed with our unique Star-Quad "Twinax"-construction. Compact size so that the cable will easily fit in small connectors (GAC-8pair AES/EBU will fit in 25-pin D-SUB connectors) but still perform excellent electrical specifications. 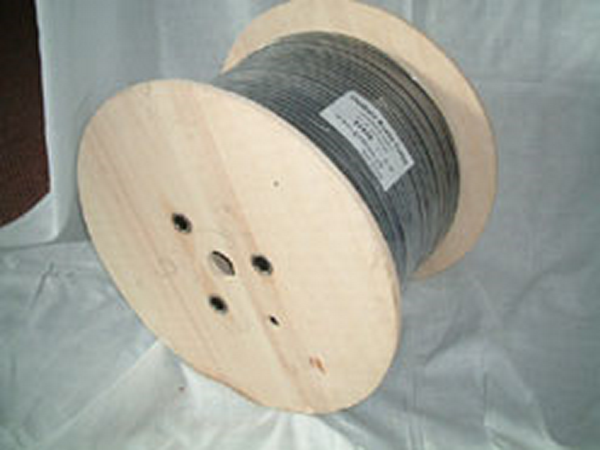 This cable is also capable to be used for DMX or analog audio signals.. Using the GAC-2/mini AES single pair cable as the element for our range of multipair digital cables (except for the GAC-12pair foil AES), we offer now 4-, 8-, and 12-pair flexible cables. (For technical data please refer to GAC-2/mini AES 10620). Numerical identification on each pair. Sold also per meter.